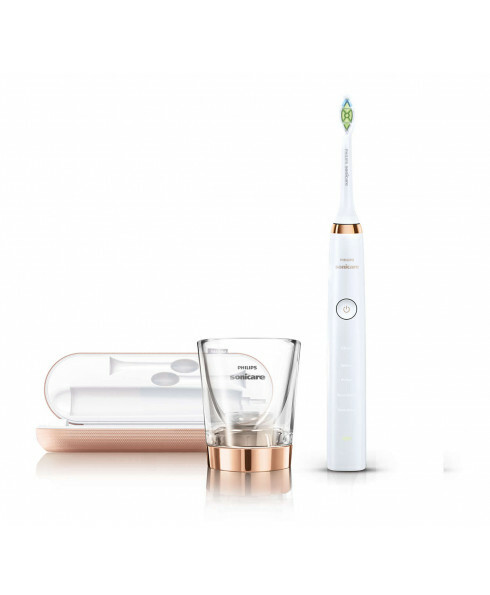 Removes up to 7 times more plaque from hard-to-reach places than a manual toothbrush. 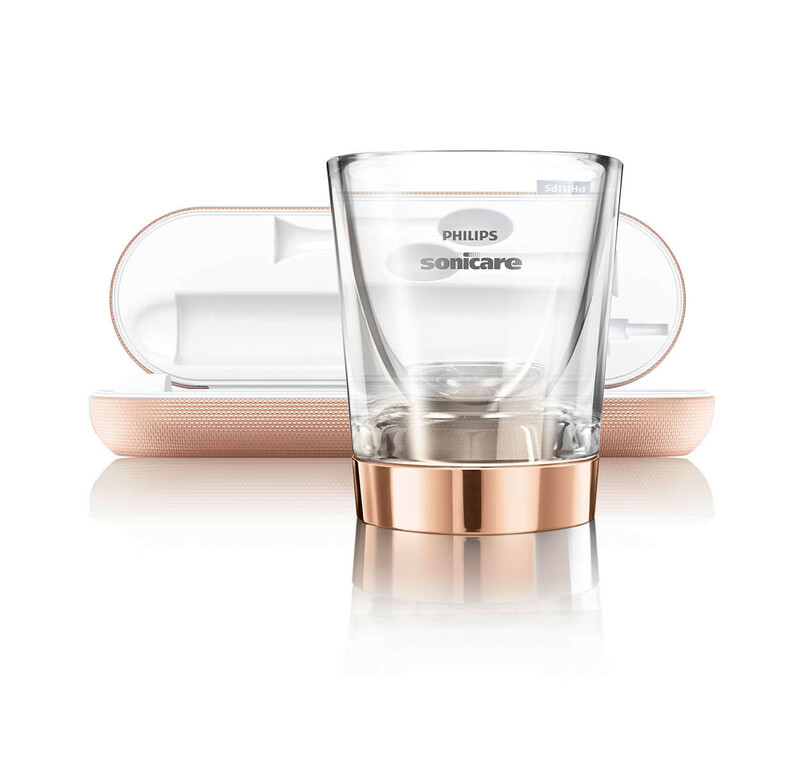 1) Charger glass - Simply place your Philips Sonicare electric toothbrush in the glass to charge. 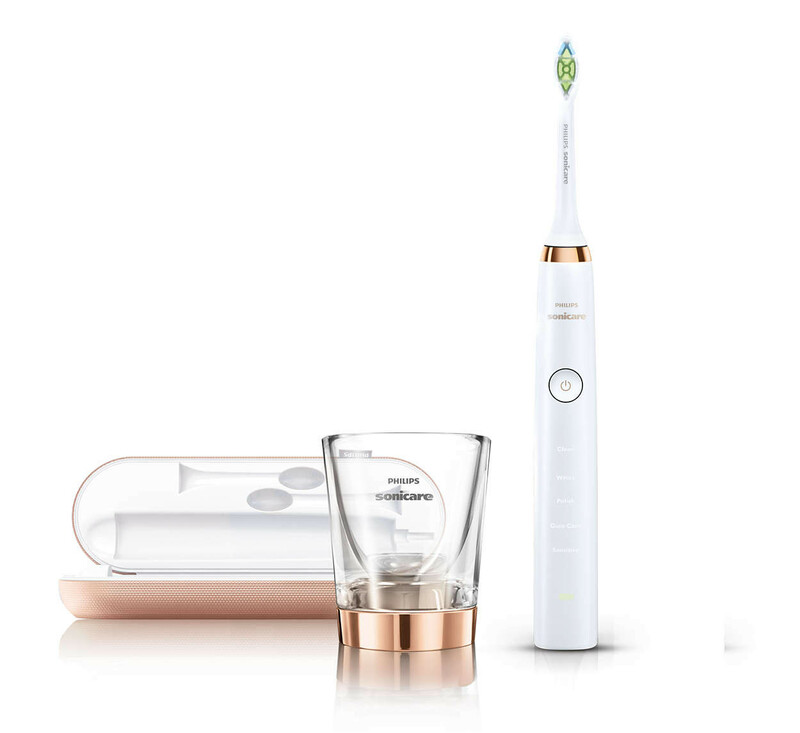 Can also be used to rinse your mouth after brushing. 2) Charging travel case - Connects to your laptop via USB or can be charged by wall socket. 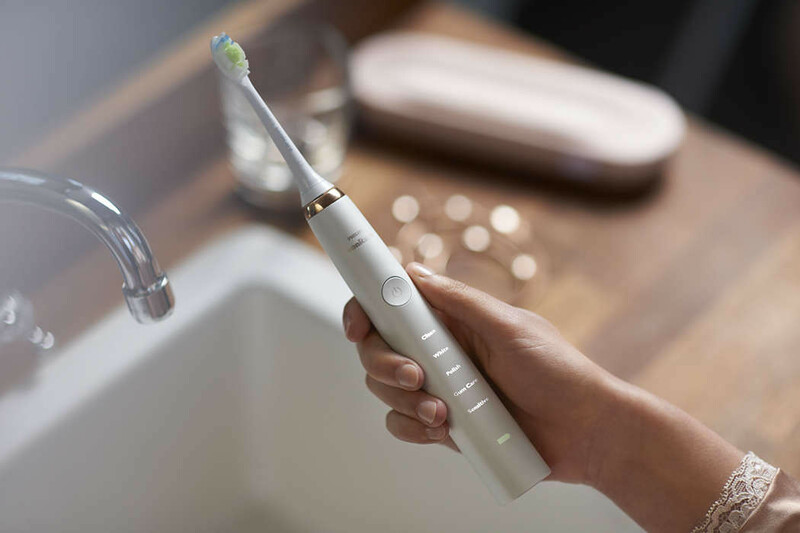 Allows you to take your DiamondClean anywhere and everywhere.